The boat is out of the water, and I do hope to come back and post some bits from the second half of that last trip. In the meantime, here are a few more recent photos. 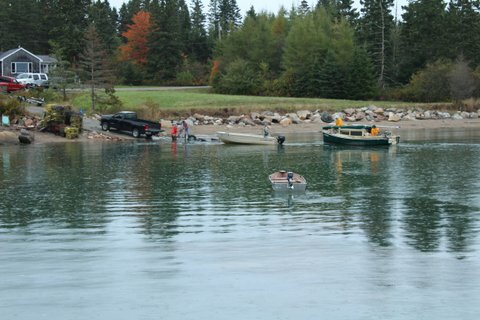 Arriving back home, October 1, with the early morning tide. 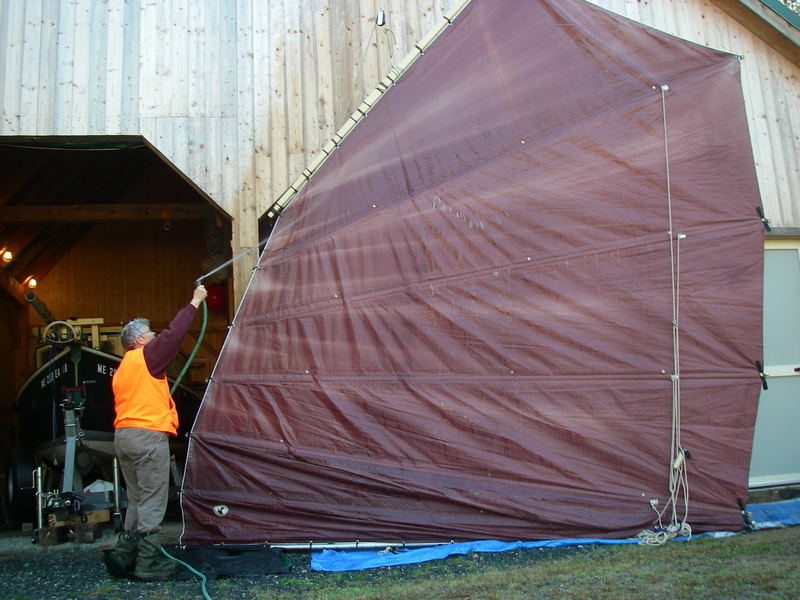 And then into the boat shed. 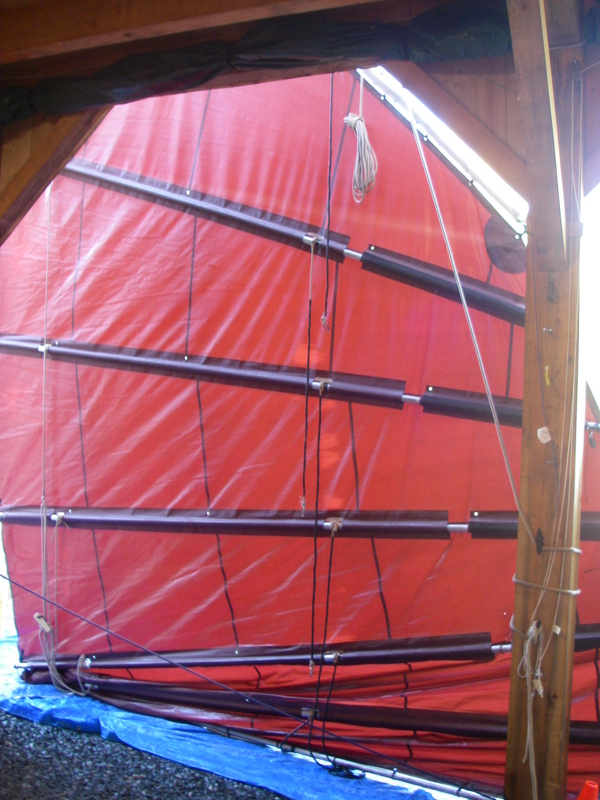 Yesterday the mainsail got the salt rinsed off of it… Sure does look big, when it’s not on the boat! 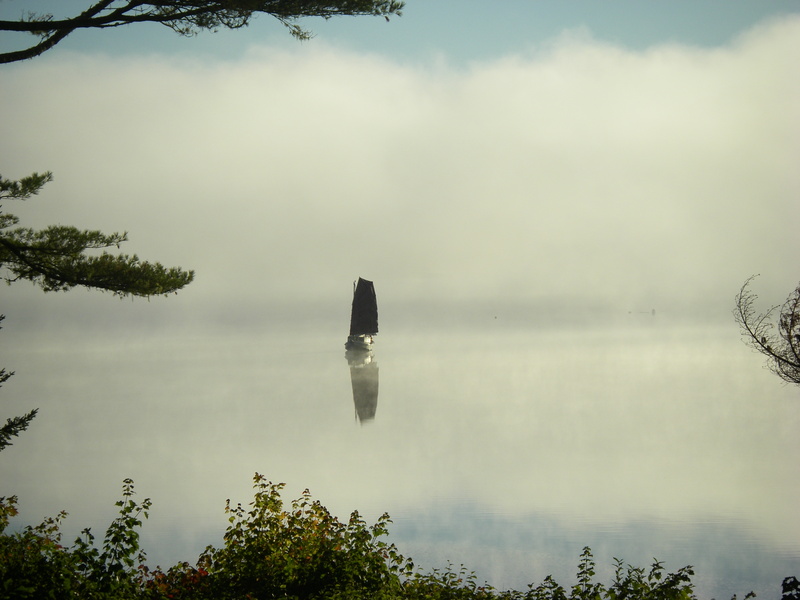 I love that first photo Suzanne took, of you sailing back on the early morning tide. So evocative. Isn’t it a nice one, that Suzanne caught – just the feeling of that sweet morning. Thank you, Patty! My favorite. 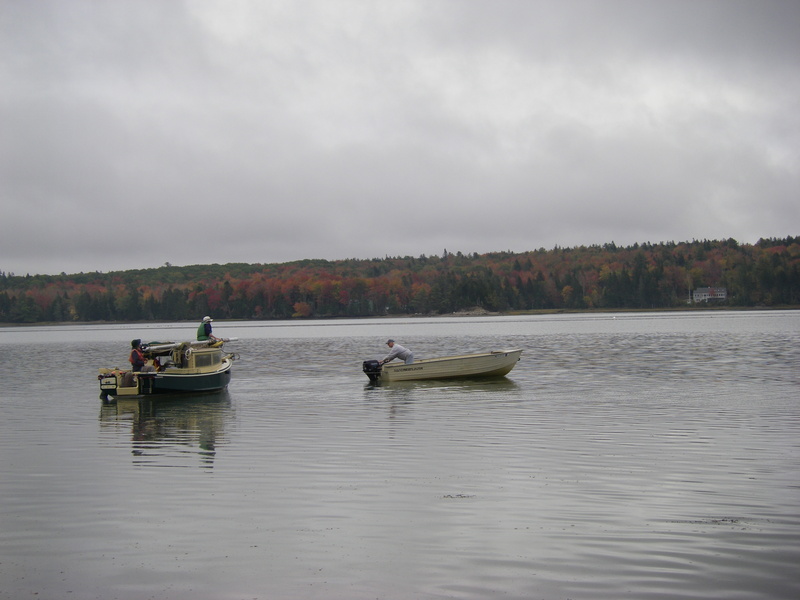 Those are wonderfully hopeful photos, a nice reminder that taking-out day is the first day of the next boating season. I love that perspective on taking-out day! Meanwhile, the bay is looking quite nice from the snug perch of an inside window. Rain streaming down, after recent ice, and the wind is starting to roar. Yes, I agree – lovely photo. I think a Peephen featured on Lloyd Kahn’ s excellent Tiny Homes type blog a while back. Very practical. 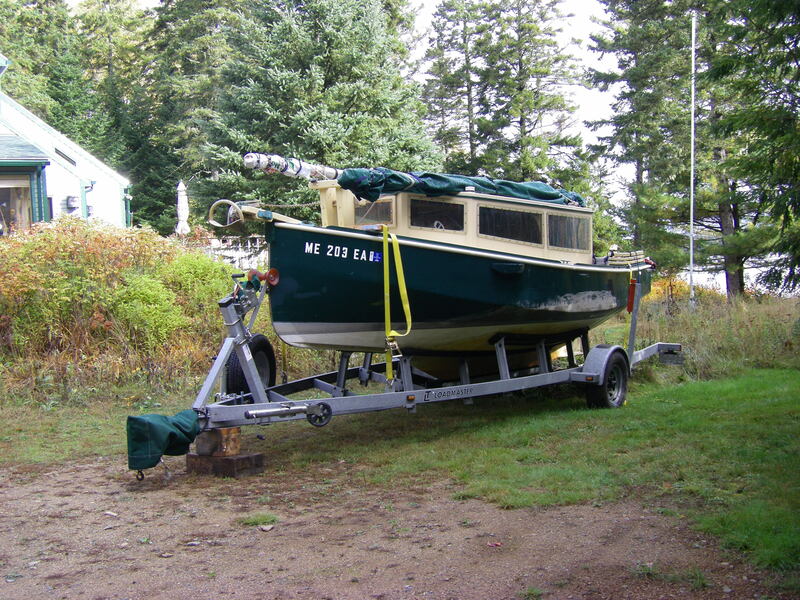 The more I struggle with my 19′ trailer sailer, the more I feel a boat about 14′ would suit me better. Time to drag my Paradox Project back onto to drawing board. Mmm, junk rig too.Hope you got plenty of warm firewood stowed away. Cheers, Terry. Hey, that’s fun, a Peep Hen making it into the tiny homes discussion. It certainly qualifies! Here, yes indeed, lots of firewood, and all is snug. Paradox sounds good! What stage is it at now? Summer must be coming right up, with the water calling :-) It does a person good, with winter arriving here, to think of all of you on your side of the equator getting ready for warmth!